MAYA is the brainchild of a brilliant team of young innovators. 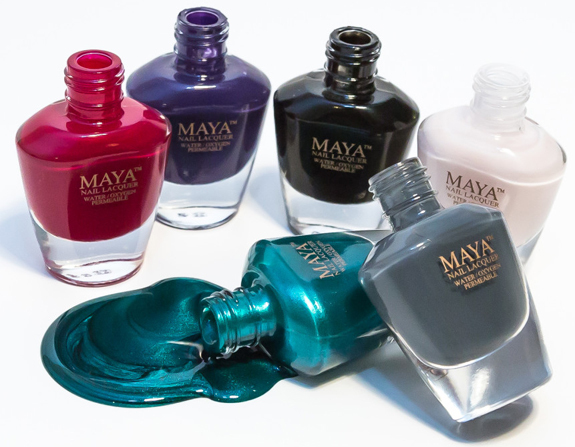 We wanted a high-quality, long lasting nail polish that would be safe to use, wudu-friendly, & promote nail health. Maya was created with this philosophy in mind. Air/water breathability � more oxygen reaches the nail surface resulting in better conditioned & stronger nails. Fast Drying � dries within minutes. Long Lasting � far more durable than water-based breathable nail polish. Has been verified as 100% Halal. Certifications are available upon request.